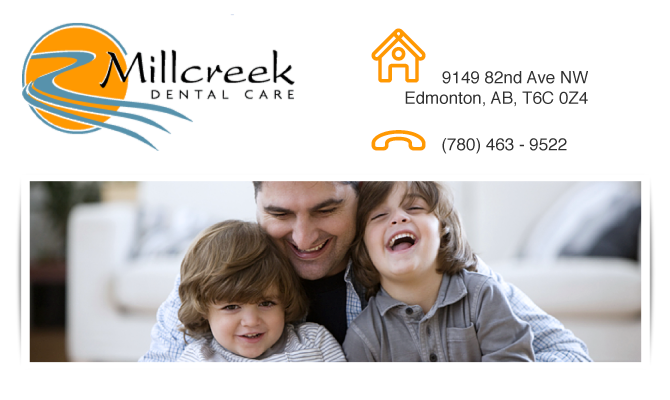 Millcreek Dental Care is a general and family dentistry offering their services to the local residents of Edmonton and the surrounding areas. We work with everyone from children to seniors. With years of experience and up-to-date dentistry trends, our dentists strive for the best results. We alleviate dental pain, provide positive oral health habits and improve our patient’s overall comfort. Our staff is pleasant and professional, providing a relaxed and caring environment. New patients are always welcomed. We save room to take in walk-ins, same-day appointments and emergency patients throughout the week.